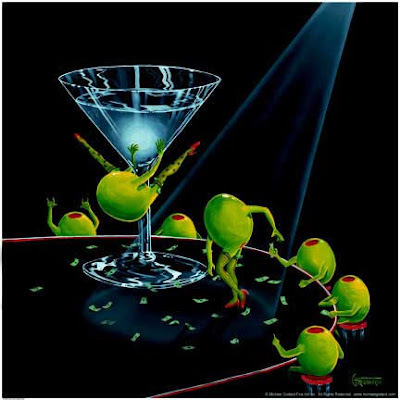 From a super-awesome (for-real) collection of Martini Posters by Michael Godard. Via the super-awesome Nag on the Lake. Is that a 'pole dancing' olive?